Most of us can only dream of owning authentic designer handbags. Buying authentic pre owned, outlet or vintage designer handbag is a good way to make that dream come true. There are though lots of fake designer handbags around so how can you tell if a handbag is authentic or not. How Can You Tell If A Bag Is Authentic Or Not? There is unfortunately no easy answer to this question. Each designer has his or her own "trademark", i.e. things that make the brand unique. Each item needs to be evaluated individually to properly judge authenticity. This is though not always easy to do. Fake designer handbags are getting better all the time, making it difficult, even almost impossible, to judge authenticity without having designer handbag expert looking at them in person. The only way to guarantee the handbag authenticity is to buy it directly from the designer but that is unfortunately out of reach for most of us. The next best option is to get a handbag authentication service to inspect the bag, ideally in person, i.e. the bag itself. This costs time and money, and can be impractical. Fortunately most designer handbag experts can detect fake handbags by good quality photos (if not they will tell you). Getting designer expert evaluation will cost you and it takes time but it can be worth it, especially if you are buying the more expensive luxury designer handbags. The most practical and popular option is however to buy from reputable seller of authentic designer handbags. How Do You Know If The Seller Is Reputable Or Not? Anyone can sell luxury designer handbags on-line so how can you tell if the seller is reputable or not? Again, it is not always easy to do. There are few things worth looking out for but you will always have to use your common sense and judgment in the end. The first thing to remember is that if something sounds too good to be truth it usually is… not true that is. So if the price looks too good to be true, make sure you do your homework properly before buying anything. Search on-line for the name of the seller and add reviews and then scam next to the name. Bear in mind reviews and claims about scams (or not) can be fake too! Still, it will give you an idea. Only negative or only positive feedback can be more suspicious than more balanced reviews. The more reviews the better and ideally over long period, i.e. not all on the same day / week. If you are buying from big sites like Amazon or eBay, or on auction, always check the seller's feedback carefully. It is also good idea to contact the seller directly. If you don't receive an answer or get vague answers, then you may want to think again. 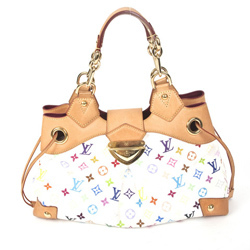 You can also get designer handbag authentication services (like My Poupette, Authenticate First, etc.) to give you pre-sale evaluation, i.e. ask them to evaluate certain item or website for a small fee. Ideally, the seller has the "seal of approval" from some authentication services, e.g. My Poupette. It is not bulletproof but it is as close as it can get without buying directly from the designer. Amazon offers good range of authentic designer handbags. Amazon is fiercely protective of their customers so if you buy through them and there is any doubt about the bags authenticity then Amazon will cover your back. You just send the bag back and they will fully refund you. And unless there is a good explanation, the seller will not be able to sell again on Amazon. This is why we at B for Bag are comfortable recommending Amazon as seller of authentic designer handbags. And their price is usually very compatible. 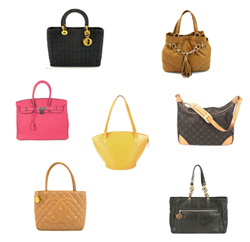 To view B for Bag selection of authentic designer handbags click on the relevant links below.